A classic of magic like razords or threaded needles in the mouth was impossible for children; With the loops you can perform this routine in a very fun. 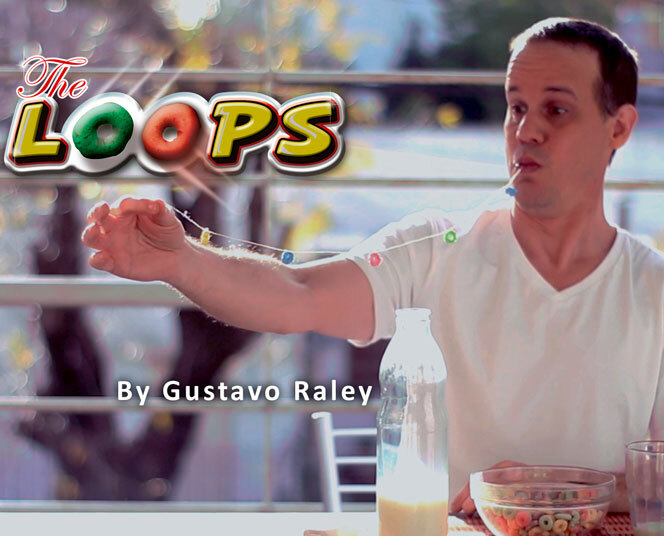 The magician shows a cereal froot loops, introduces several of these into his mouth and eats them. Then he pulls out a roll of dental floss and inserts it into his mouth, and then hews all the cereals into the thread. Easy to perform, fun and magical. Children will remember you every time they eat breakfast. Jeff Mc Bride said: "One of the funniest new effects of this year, It's colorful and practical, Have fun with this great idea by Gustavo Raley"